I’ve never been a religious person, and I’m still not, but what I experienced definitely made me believe in…….something? I recently had a near-death experience. I was in a car accident eight months ago, t-boned by a drunk driver. My car was hit on the passenger’s side, sending my car rolling seven times before stopping on the sidewalk outside some big business building. Miraculously, I didn’t break any bones in the crash, continuing my streak of having never broken a bone, despite a life spent doing admittedly dangerous activities. I played football from 6th grade to 12th, and during 7th grade I began practicing Jiu-jitsu and kung fu, which has continued into adulthood. I’m also an experienced rock climber, and I have always been partial to motorcycles. I don’t say all this to sound cool or give off the impression that I’m some kind of badass, but to illustrate how… lucky? I’ve been to have spent my life doing those sorts of things and never broken a bone. I laid on the operating table with swelling in my brain and internal bleeding, and at one point, I flat-lined. What I experienced when that happened is why I’m writing this, as a warning to everyone. I didn’t know if there was anything after death, let alone a heaven or hell, so when I opened my eyes and found myself in a cave, I was very confused. Everything had a kind of eggshell white tone to it, from the ground to the rocky walls and the stalactite-filled ceiling, and it was freezing. I could see my shaky breath making clouds as I tried to get a grip on what was happening, but before I was able to, the most terrifying things I had ever seen turned a corner and approached me. Skeletons, actual moving, living skeletons, inexplicably held together in their humanoid form, stormed in and grabbed me by my arms. I kicked and screamed as they dragged me down the hall, until we entered an absolutely huge space, a sort of “throne room” from what I could see. Everything was made of bones. There was a giant throne made entirely of hard, white bones, chandeliers of ossein rock, handrails and footpaths and doors and tables and chairs all made of entirely of bones. Collagen and calcium stalactites hung from the ceiling like spears, stalagmites jutting out of the floor like spikes. But the strangest things were the ornate monuments. The room was as magnificent as any I’d ever seen, in its own way, with multiple waterfalls and fountains, and a cascading wall. In every case, however, it wasn’t water coming out of them. It looked like… milk. There were banners hanging all over the place, all of them with the visage of a common cow. I looked to my right and saw a room that looked like a chapel, with bone people bowing before an altar, upon which was a bone carving of a cow. Statues of heifers lined the walkway leading up to the throne, and it seemed to me that the bovine was worshiped as a sort of deity by the inhabitants of the place. I was taken to a chair in front of the massive throne of bones and sat there for what felt like an eternity. Then the music started. Drums started banging, and all at once the bone people present in the massive room – at least 50, if I had to guess, most of them with cups of that same white liquid in hand – started humming. A group lined up on either side of the throne, despite having no visible lips or lungs, managed to blow into trumpets. “Doot-doot, doot-doot!” the fanfare sounded, and I knew something important was about to happen. From a long tunnel to my left I heard marching steps growing louder and louder. Several tense moments later, a number of what appeared to be guards emerged from around a corner, holding bone-staffs, with bone-swords slung across their backs and bone-helmets placed redundantly upon their heads. They were escorting someone… something… and led them to the throne. The person of honor stood before the throne, adorned with a magnificent bone crown, and raised his skeletal hands in the air. “Silence!” his voice boomed. Quizzically, I looked about the room, awestruck by his ability to speak without vocal chords. No one had really been making any noise to begin with. At his word, everyone dropped to their knees in reverent fealty. Cheers erupted from all around me. “Wha–what is this?” I asked, a little more brusquely than I’d intended. “This is your new home! That is, until we are adequately prepared,” he replied. “Prepared for what? Who are you?” I asked. Another eruption of cheers, another call for silence, another bowing of heads. I had no idea what to say, but I knew then that what I’d seen earlier had indeed been fountains of milk. “Chosen… for what?” I asked, still unbelievably confused. He thumped defiantly upon his rigid sternum. As if on cue, the bony masses cried out in approval again. Once more they were hushed by their king, and in blind devotion threw themselves to the ground. At that moment I realized that my sister, mother, and grandparents had all broken at least one bone in their lives. If I went along with what had been planned and played my part, I would be sentencing my loved ones to death, or worse. At the same time, I recognized that great value was being placed in me, so in spite of what should have been obvious horror and confusion, I responded with mock assuredness. The rooms instantly burst into a cacophony of angry screams and jeers, and these Mr. Skeltal didn’t put a halt to. “You dare disobey the Skeltal King? !” he shouted at me. I didn’t know what to say, but I knew I could never join his ranks if it meant murdering everyone I’d ever known. He took a few steps down from the platform his bone throne sat on. “And what fate would that be?” I inquired, more afraid at that very moment than I’d ever been. The room had gone eerily silent, and not at Mr. Skeltal’s command. The tension in the air was palpable, with all the bone people and the Skeltal King himself awaiting my response. “In… or out?” Mr. Skeltal said through closed teeth, seething with anger. I considered the consequences, weighing them against what awaited me if I accepted the offer and chose to stay. I would either return to my life on Earth, albeit with increased odds of breaking a bone or two someday, or else remain a citizen of the bone kingdom, conscripted as a high-ranking official in an army that would one day soon launch an attack on everything I’d held dear. “Out,” I said. Before I even got the word out, the room exploded into a deafening din of torturous shrieks and disapproving slurs. Somewhere in the distance, the unmistakable “doot-doot, doot-doot” of trumpets sounded, their cheerful tones in haunting contrast to the otherwise ominous atmosphere. A moment later, two guards seized me by the arms, holding me in place. His soldiers obeyed without hesitation. Nearby, trumpets bellowed again, “doot-doot, doot-doot!” I was dragged back to the room in which I had initially awakened. There they beat me, systematically. First they targeted my arms with clubs, beginning with my hands, then my wrists and forearms. They then moved on to my legs, first striking my feet, then my ankles knees. They saved my neck and back for last, the entire time berating me for my treasonous behavior. I don’t know for how long I was in that room, getting my body worked over by skeleton people with bone clubs, but it felt like years. And then I awoke, restrained in a hospital bed. The next several weeks were a blur of medications and doctor’s appointments, but every now and then throughout my recovery, the images of the Skeltal Army and the bone kingdom flashed before my eyes. Once I was finally able to see and think clearly, everything that had happened when I had flat-lined came flooding back. For the first six months of my recovery, I was confined to either a bed or a wheelchair, but now that I’m up and able to move as freely as I had been prior to the accident, the gravity of Mr. Skeltal’s threat has become abundantly clear. Within the past two months alone, I lost my footing while descending my porch steps and shattered my ankle, jammed my wrist so hard that it fractured, and upon my return as a trainer at my Jiu-jitsu academy, I performed a roll as part of a routine demonstration and broke two of my fingers. The doctors have no explanation other than “bad luck” as for why I’ve become so injury-prone, but I have no doubt. Mr. Skeltal was no hallucination, and his curse far more than a figment of my imagination. What I experienced was no dream. The Skeltal Army is real, and they are coming. I don’t know when, but they’re coming. 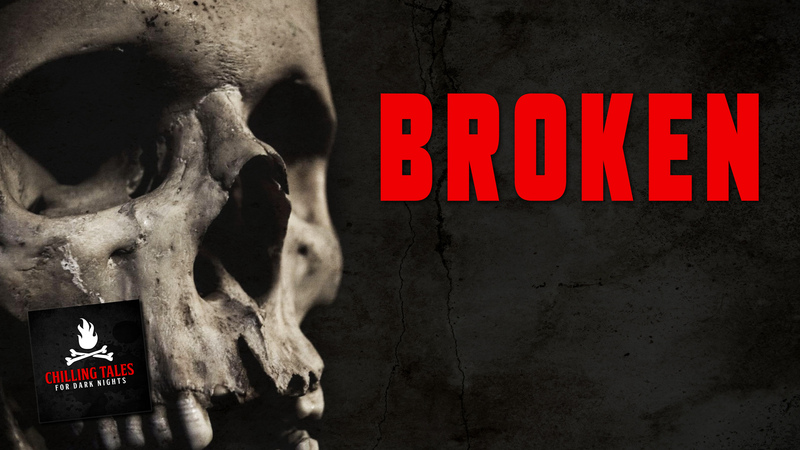 If you’ve never broken a bone before, do your best to keep it that way and you might be safe. If you have, may the bovine gods have mercy on your soul. You are the weak and unworthy for whom Mr. Skeltal and his bone army hold such disdain. And they’ll come for you too, just as soon as they’re finished with me.